The Kellogg School of Management, 2211 Campus Dr., home of Northwestern’s economics department. Economics could be recognized as a STEM major as soon as Friday, International Office director Ravi Shankar said. 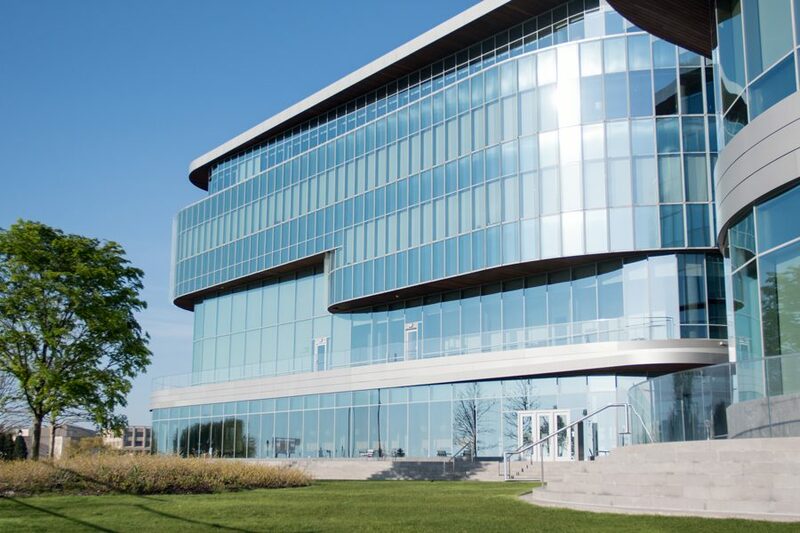 Northwestern’s economics department could be classified as a science, technology, engineering and mathematics major as soon as Friday, International Office director Ravi Shankar said. The department voted unanimously to classify as a STEM major in April, but students and faculty did not expect the change to be officially approved for months. But the process moved much quicker than anticipated; Provost Jonathan Holloway already approved the code change, and it is currently being reviewed by the Department of Homeland Security. The code change would affect international students who are economics majors. After they graduate, international students can work in the United States for 12 months, after which they can apply for an H-1B visa to stay in the country. In STEM fields, however, students have up to 36 months. Shankar said he expects DHS to accept the code change, which would classify undergraduate economics as a STEM major due to its quantitative nature. The department has already classified its graduate program as a STEM field. The code change would be applied starting with the class of 2017, Shankar said, so students whose visas would expire this summer could be granted an additional two years. Mahera Walia (Weinberg ’17), whose visa is set to expire this summer, said she hasn’t yet decided what she plans to do. She said she is “cautiously optimistic,” but wouldn’t feel fully comfortable until she was officially notified that economics had been recognized as a STEM major. Walia, who is originally from India but grew up in Malaysia, works at a consulting firm in Boston and said she has multiple options if her visa runs out. However, she said she knows many students who are faced with more uncertainty about their future. Walia started a petition in November asking the economics department to classify as a STEM major, and said she hoped the change would be made so it can affect her graduating class. University President Morton Schapiro, who also teaches in the economics department, told The Daily on Thursday that he supports the change and that economics at NU is very quantitative. “You want a quantitative economics department? Try mine. There’s no question that it fits,” Schapiro said. Though she isn’t sure how it will affect her, Walia said she’s excited that the department is moving forward with the code change.